Concerned SLO County citizens have formed a “watchdog” organization, SLO Cannabis Watch Group (SCWG). We are committed to a collaborative relationship between residents, the cannabis industry, and government for controlled and responsible cannabis operations in our communities. In our opinion, the reason for the contention between cannabis growers and residents are poorly written ordinances. If the laws were written in such a way to ensure both the success of the grower, and the protection of the neighborhoods, Tuesday’s decision wouldn’t be so pivotal. The residents who are appealing these permits have done the homework we would have expected our county employees, the appointed and elected officials to have done: objectively analyze the impacts of cannabis cultivation (on air, water, zoning, and etc.) and suggest measurable and enforceable laws to regulate and ensure the health, safety, and enjoyment of our property alongside a successful cannabis grow. Instead, our county government officials invited the cannabis industry to participate in a “working cannabis group” to help craft the ordinances under which they are now regulated. We believe it has been “the fox guarding the henhouse.” We now ask the reasonable voices of the residents to be invited and heard. We need the Board of Supervisors to listen. 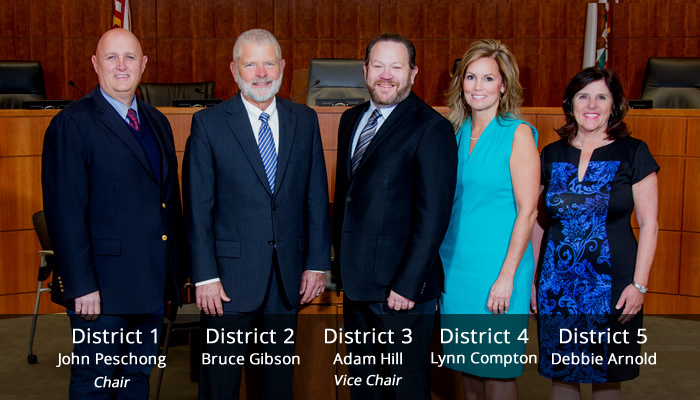 Join us this Tuesday, March 26, at 9 a.m. after the consent agenda, to support the York Mountain appellant Ian McPhee, by wearing red to get the Board of Supervisors to pay attention, listen to SLO residents, and take a leadership position. Our politics are now being corrupted by the cannabis industry drug dealers, and the so-called ‘SLO Progressives’ are now using drug money to fuel their campaigns for public office. This corrupt political quid pro quo is completed when the corrupt politicians draft legislation friendly to the drug dealers. Corrupt politicians who took drug dealer money in the last election: Miriam Shah, Adam Hill, Caren Ray Rossum, Heidi Harmon, Carlyn Christianson, Aaron Gomez, and Barbara Harmon. ALL of these irresponsible politicians should be barred from voting on any marijuana-related laws, and shame on them for selling out our children to drug dealers. Nice comment and i believe it to be true. I think that when this issue hit the table that the only thing that most of the local elected officials and their staffs saw were $$$$$$$$$. I think that this was the Golden Weed that was going to save everything which mostly would be their salaries, benefits, retirements and perks since on the average 75% of these funds going into the General Funds goes towards that. With some common sense there certainly can be a balance. A little research with other states how they resolved their problems could be an easy start. But I don’t think it would require a multi thousand dollar study when a few simple telephone calls could be made or even an internet search. I think it will be difficult for them to look past the $$$$$$$$ though. Ok so I’ve read the “risks” section of your website and you’re not sincere about your intentions. Let me guess who is behind this group…Jody Belsher and friends. If you are sincere about your intentions, you need to become aware of Cory Black and his gang of corrupt officials and county staffers. That is the same group that rolled over Grover Beach and led to Debbie Peterson resigning. If you are not aware of them, then you need to get your ducks in a row. I would be more than happy to fill you in on the details, because that is who is behind what is truly “big cannabis,” not the little guys. You identified the “Don” of the cartel. I know, I don’t really pull any punches when it comes to this situation. I’ve done the research and been able to piece together how his schemes work. It’s quite disturbing, actually. He knows how to separate himself from the dirty work and keep his hands fairly clean, unfortunately. But while most of his operations might be legal, he has ZERO ethics. He’s been running political machines around this area for decades. He was the Godfather of PG&E money along with Shoals. He was even a registered agent for the Saudi Arabians, helping to put the kabosh on the trials against the Saudis!! !